Let's face it. 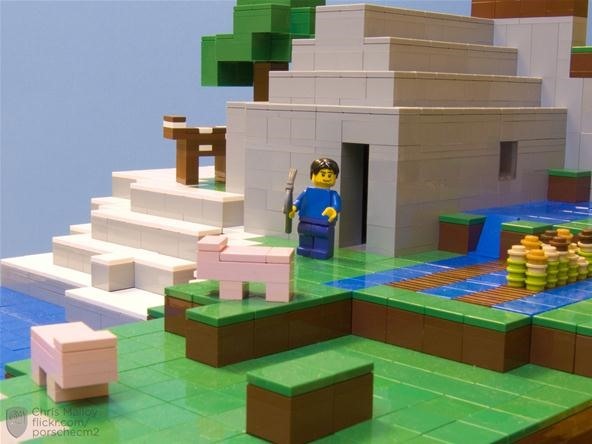 Minecraft probably wouldn't exist today if not for LEGOs. They are fundamentally the same; building objects out of blocks. 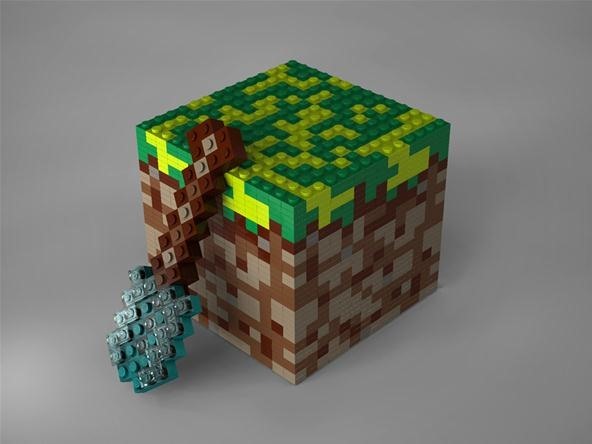 Only Minecraft has expanded on the idea, creating a world where nearly anything can be made. It's probably even more accurate to say that Minecraft is the digital embodiment of LEGO Mindstorms, thanks to all the working, moveable parts and ingenious in-game engineering that make Minecraft a functional, living world. 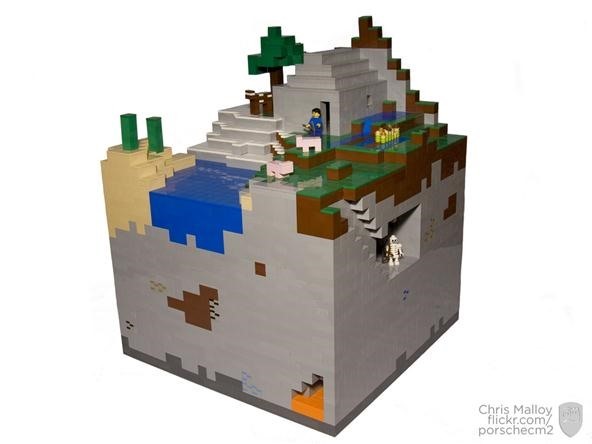 But if you take the crafting table and redstone away, it's like basic childhood LEGOs all over again, so it's refreshing to see Chris Malloy taking Minecraft back to old school bricks in an impressive Minecraft and LEGO mashup. 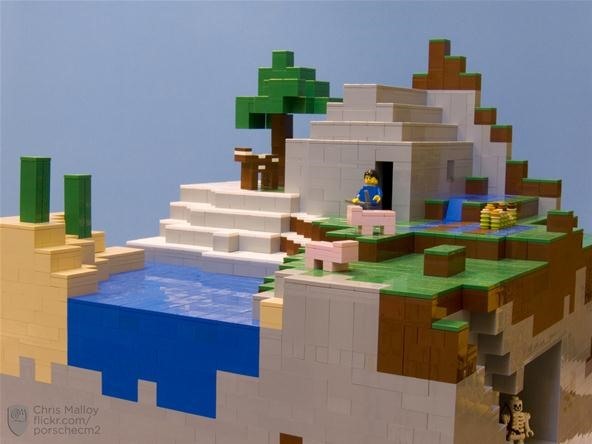 He recently built his Minecraft diorama out of LEGOs, complete with passive pigs, pixelated landscape, and an underground cave system. 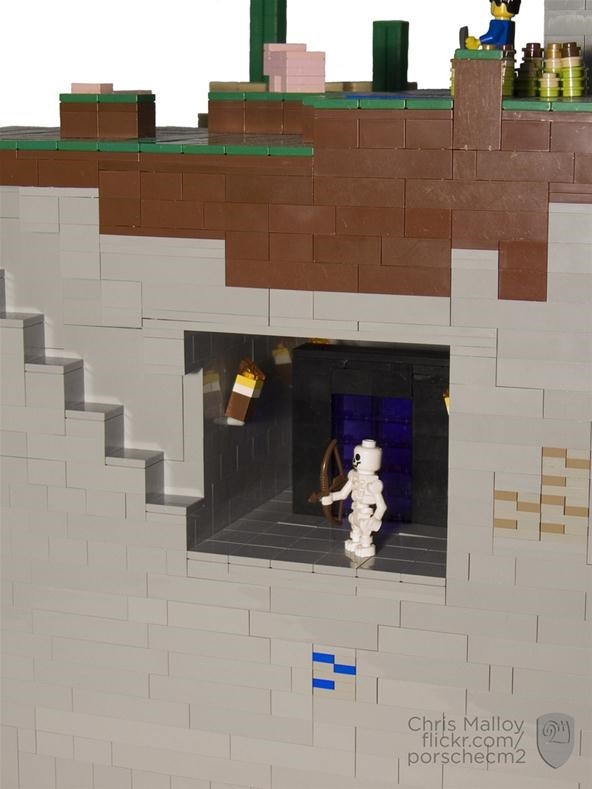 He first unveiled his diorama at Brickcon 2011 back in October, but posted it online for all to see the day before MineCon and the official release of Minecraft. For more pictures of his build, check out his Flickr photo set. 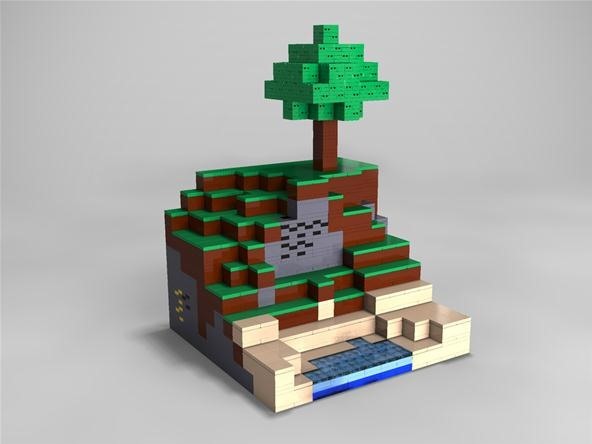 Have you recreated any Minecraft scenes with LEGOs? Share! Post them on the corkboard. This stuff is great. I always loved LEGOS as a kid, maybe that tells me something? i loved lego and still do! and my freind (who literaly has all the lego he could possibally want) told me about it!